Last month our sales team headed to Detroit for the NWPCA Recyclers Conference held on October 22-24. Although the motor city isn’t known for mild-weather conditions in October, the people in Detroit were very warm and friendly. 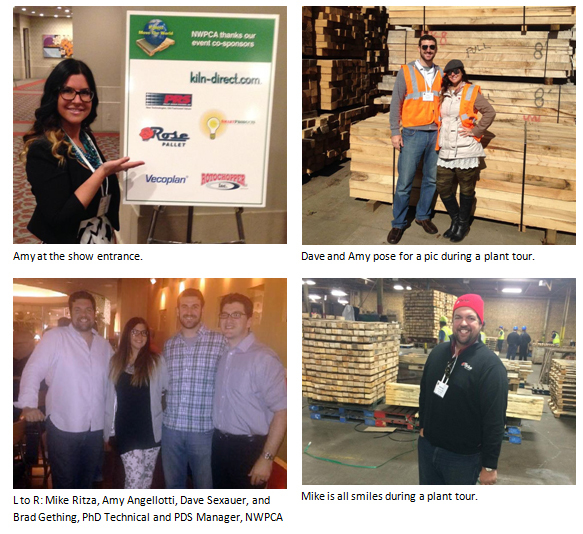 This was especially true of the staff at three local pallet facilities, all of which opened their doors to conference attendees for plant tours. Rose Pallet visited all three to find out how each facility designs and manufactures new pallets, remanufactures pallets, and recycles pallets. The tours did not disappoint! We got up close and personal with automated sawmills and computerized pallet assembly machines. It is always a neat experience to watch the pallet manufacturing process and see first-hand the technologies and high-production equipment that is utilized to make the very products that ‘move the world.’ Following the plant tours, experts remained on hand to answer questions.